In soaMDID, when you see the message below in place of a thumbnail image, it means that for some reason the record and the image have not connected. Please email soail@uw.edu to let us know. It is most helpful to tell us the accession number for the missing image. That is usually the last field in the record. Note: we are only able to fix this problem for images in School of Art collections. If the record is from a non-SoA collection, we can pass it along to the appropriate person. Occasionally, after packaging a slideshow for an offline presentation and launching the slideshow, a person will get an error message like the one shown here. If you get this error message, immediately email soail@uw.edu so that we can fix the problem. It does sometimes take a couple hours after we receive the email to do this, so it is always best to test your packaged slideshows in advance. NOTE: this error does not affect the live version of the slideshow, so, if you discover this problem at the last minute, and if you have ImageViewer already downloaded (it’s on the computers in Art 003, 004, 006, and 317), you can use the live version of the slideshow instead. 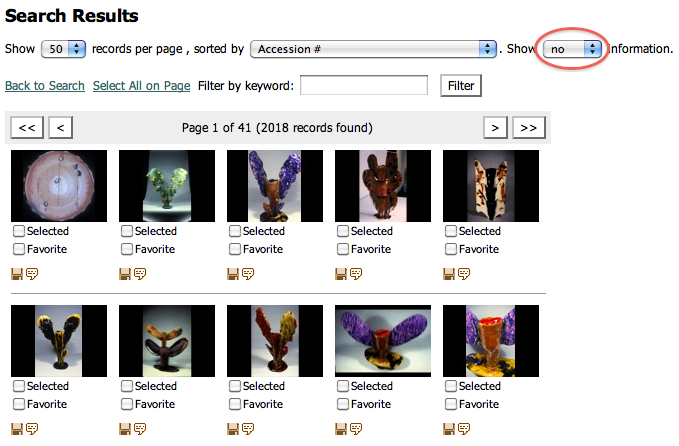 If you have a slideshow you created a while ago and you see a thumbnail message that says either “Collection not available” or “Object reference not set to an instance”, it means that an image you had in that slideshow was moved to another collection or deleted. Unfortunately, unless you kept a packaged version of the slideshow or a printout such as flashcards or print view, there is no way to know what image was there. If it is an eRes slideshow, we probably have the flashcards archived on our server. Since an upgrade to soaMDID in 2008, we have been able to tell if an image is used in a slideshow, so we do not move or delete images until we have replaced them in slideshows. We apologize if this creates problems with earlier slideshows. The UW Libraries has an excellent guide to Image Databases & Resources. Be sure to check it out and bookmark it.